ganor dominic is the emerging shoe brand that should be on your radar. these girls though, have always had a love for shoes. “from early on, I can remember visiting my grandmother and looking at her collection of vintage heels from 60’s. every time I visited her, me and my sister would go to the shoe drawer and try everything on!” says Katherine. inspirations also come from far and wide with these sisters, but most prominent is their love for the “classical”. 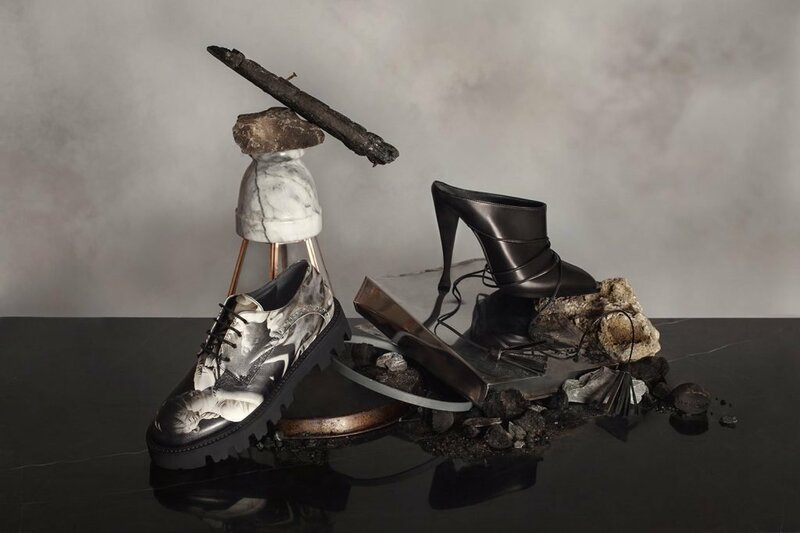 the classical may be an inspiration to them, but they’re experimenting with modern mediums, pushing the boundaries of the shoe-making world with the 3D. take their Apollo pumps for example, as they feature a 3D printed marble face under the sole, all in their classical signature style. there shoes are also super flexible, think you’re buying just the one pair of shoes? you’re wrong, their Chronos brogues come with three removable front panels, so you get 4 different shoes in 1. We can’t argue with that.